Erin Ventures announced that preparations are underway for the commencement of the 2018 work program on its 100% owned Piskanja boron project in Serbia. The completion of this work program will continue to advance the fundamentals of the Piskanja project towards feasibility, as well as ensure that Erin is compliant with its obligations required to keep its exploration license in good standing and extend it into 2020. Piskanja is Erin’s wholly-owned high-grade boron deposit with an indicated mineral resource of 7.8 million tonnes (averaging 31 per cent B2O3), and an inferred resource of 3.4 million tonnes (averaging 28.6 per cent B2O3), calculated in accordance with the Canadian Institute of Mining Definition Standards on Mineral Resources and Reserves (CIM Standards) as disclosed in Erin’s filed report titled, “Mineral Resource Estimate Update On The Piskanja Borate Project, Serbia, October 2016”. The planned work for this program includes 10 vertical HQ-sized, diamond drill holes, totaling approximately 3,050 metres, with chemical analysis. The proposed drill hole locations are expected to include 4 drill holes on a 50 by 50 meter infill grid designed to move more of the mineral resource to the “measured” category in the central part of the deposit, the twining of 1 of Erin’s previous reverse circulation holes located on a 100 by 100 meter drill grid for a metallurgical testing bulk sample, 4 exploratory drill holes to evaluate the potential propagation of mineral bodies in the direction of some positive historical Rio Tinto drill holes to the western and southern extremities of the property, and 1 drill hole on a 100 by 100 meter grid designed to be multi-purposed as a hydrogeological monitoring station as well as an exploration hole. 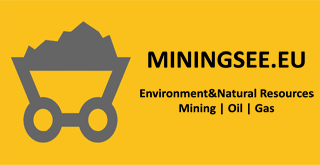 This work program is designed to ensure that the project continues to comply with both the Canadian Institute of Mining “Best Practice Guidelines” and Serbian mine licensing and mine development regulations.